Judging by Its Cover - Cohort 10 Newsletter! Book covers have always been important. They help publishers sell the book by giving basic information about the book and protecting the book and its contents from damage. More importantly though, they direct the reader to a potentially great story. A creative or interesting book cover can also direct prospective book owners into book stores or onto websites, which helps sell books. Additionally, book covers have historically been used to convey the importance of the book's owner. Today is really no different, except it is not the book’s owner who is important so much as the book’s potential owner. Originally intended to protect the contents within the book, book covers and jackets were originally made of skin (these were typically leather, but human skin is not unheard of). The skins could be impressed with gold and delicate patterns, scarred with acid, adorned with jewels or carved ivory, or decorated with wood. Book covers evolved during the industrial revolution to be covered in cloth and eventually paper decorated with different fonts, illustrations, or photographs. The unifying fact most book covers have in common is that they display pertinent data – the authors, title, price, and publisher. They can also can contain positive reviews or summaries that give both detail about what’s in the book and why a reader should read it. Although the book cover has previously been able to keep up with changing technology, there is a sense that perhaps the age of the book cover is ending. However, there is also a feeling that with the help of new technology, we are about to see another renaissance that combines cover artwork with interactive and innovative technology. Personally, I am in the second group. Book covers have always been important, but never more than now because they need to catch readers who may have too many titles to choose from. Book covers also help draw online sales and gain new readership. Superficially, if the cover looks promising, the book may be prominently displayed in a store or online. The downstream effects are more customers and more sales. This is true for the online market place and brick and mortar bookstores. In a way, the covers are still used to protect the book. The more attractive a cover is to a reader, the more likely the reader will be to pick up the book, which protects the book from obscurity. The book cover is also more important now because of the technology that it is creating in response to the changing market. With more choices, there is more competition, so publishers are experimenting with user experience and design to grab readers and sales. Three-dimensional (3-D) book covers have been recently released, and interactive book covers and book cover features have also been rumored to be on the horizon. In response to the need for more creative work in this new marketplace, graphic designers are getting more creative. Book cover artwork may be edgier today than it was 20 years ago. This artwork has to grab a potential reader who has many times more options than they did before. The cover also needs to look good on a thumb nail sized screen, so the colors may be jarring, such as the covers of Stieg Larson’s Millennium Series. Book covers may also be redesigned to make the public uncomfortable, which results in reader discussions and notoriety for the book; the redesign of Charlie and the Chocolate Factory is doing just that. Some redesigns are established to capture a new generation of readers, such as the redesigns for the Harry Potter series, or they are meant to caputre a new audience all together, such as covers inspired by film adaptions. All of these designs or redesigns have one goal in mind. Get the reader to buy the book. On the downside, if done hastily or incorrectly, the changes in book cover technology or design could negatively impact book sales and readers. If new technology is used for a book cover, but it is not user friendly or it breaks easily, then perhaps then the reader may not buy another interactive book. If the technology is changing too quickly and the new format is not well designed or supported (because yes, help desks may be required), then the technology for the interactive or 3-D book cover could be the next 8-Track. There are also risks to traditional book covers. If a redesigned book cover does not keep the spirit of the book or the expectations of its traditional audience in mind as it moves forward, then both the prospective and the traditional audience could avoid purchasing the book. 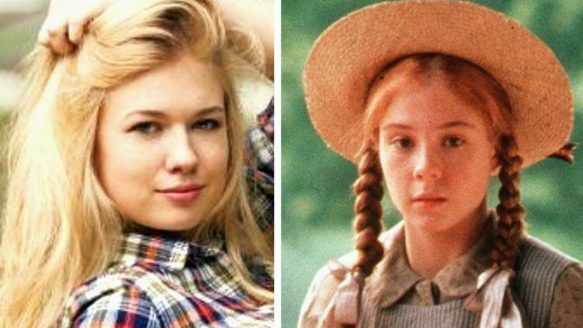 This was the case with the redesign for Anne of Green Gables, which mistakenly used a hip blonde "Abercrombie-like" model for the cover instead of a traditional Anne Shirley. Consequently, if a traditional book theme is used repetitively, then the publisher runs the risk of too many similar looking book covers, which readers may bypass all together. For example, it was recently reported there are many books about Africa with acacia trees and sunsets on the cover. Each of these miscalculations could lead to countless lost sales in the future. However, if all of the risks are appropriately addressed, book covers can invite readers to explore the new and unusual, while keeping their sense of nostalgia alive and well. Book covers draw the reader to the book and will have a continuing role in the world of publishing. They may not look the same in the future, but they will still protect the book, invite the reader, and give them a sense of pride in their selection.